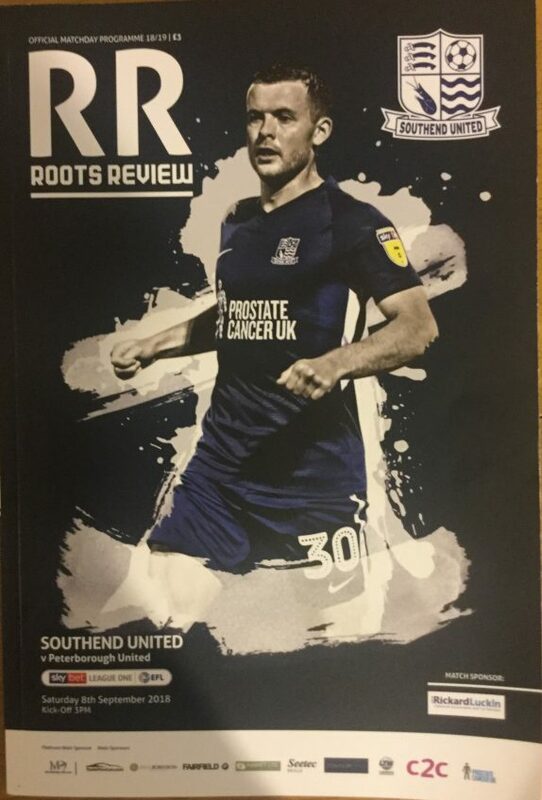 There was to be no footballing birthday present for Chris Powell – 49 years old today – as his Southend United side were beaten at home by a late winner from League One pacesetters Peterborough United, who have now enjoyed their best ever start to a Football League season. The Shrimpers had a new face in goal, that of David Stockdale whose signing on an emergency loan from Championship club Birmingham City was revealed just hours before the kick off. The former Fulham and Brighton shot stopper was drafted in as a temporary replacement for regular number one Mark Oxley, currently serving a suspension for receiving a red card in last Saturday’s 2-1 defeat at home to Charlton Athletic. Other absentees from Powell’s squad for this match included Michael Kightly (currently suspended for the same reason), Jason Demetriou and Harry Kyprianou (both on international duty with Cyprus this weekend) and Luke Hyam, Harry Lennon and Sam Barratt (all injured). Blues’ Stephen McLaughlin had the first effort after less than two minutes, with a strike from outside the area then Harry Bunn had an effort saved shortly afterwards by Peterborough goalkeeper Aaron Chapman. Bunn made an impressive run towards the penalty box in the 11th minute, unleashing a left footed strike which went narrowly over the bar, before Timothee Dieng’s long range shot was nodded over the bar five minutes later. In the 20th minute Southend right back Elvis Bwomono made a run forwards before laying the ball on for striker Simon Cox, who narrowly failed to connect. With 29 minutes played Blues won a free kick about 22 yards out, taken by McLaughlin whose effort bent round the visitors’ wall and was on target, but which was very well saved by Chapman. In spite of nearly all of the chances in the first half hour going to the home side, it was Peterborough who took a shock lead in the 32nd minute when a Siriki Dembele free kick resulted in Matt Godden firing the ball past Stockdale to make it 1-0 to Steve Evans’ men. A couple of minutes later Southend’s Sam Mantom – appointed captain by manager Powell for this match – attempted an equaliser but couldn’t get enough power behind the ball, and Chapman stopped his effort comfortably. A superb effort by Dieng in 40 minutes, when the French midfield man struck a rocket of a volley from 18 yards out, was also stopped by the Posh keeper in spite of the power behind it. And Chapman was on hand again to tip a McLaughlin header over the bar just before half time. Peterborough nearly doubled their lead two minutes after the restart, Jamie Walker’s free kick from the edge of the area going just over the bar. The Shrimpers had a big shout for a penalty in the 50th minute when Michael Turner looked to have been pulled to the floor by Posh’s Ryan Tafazolli in full view of the linesman, but nothing was given by referee Kevin Johnson. Then Peterborough made it 2-0 in the 56th minute, when Godden grabbed his second from close range. But Blues responded quickly and were back in the game six minutes later, when Bunn set up forward Tom Hopper who found the net from a yard out, following good work from Cox. The impressive Bunn tried for an equaliser with 66 minutes on the clock, but was stopped by Chapman. The Shrimpers were now pushing hard for an equaliser and were rewarded 15 minutes from time, when McLoughlin levelled the score to make it 2-2. But the joyous celebrations sparked around most of Roots Hall were replicated in the visiting supporters’ section with only three minutes of the match remaining, when Posh stole all three points as substitute Ivan Toney fired home to make it six wins and a draw to date for his side, as they stayed top of the table. Southend meanwhile drop to 15th place, and were left to reflect on an entertaining encounter but ultimately a frustrating one, as they ended up empty handed from a game in which they were certainly not short of chances. 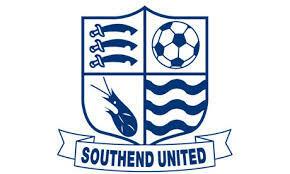 Southend United: David Stockdale, Elvis Bwomono, John White, Michael Turner, Ben Coker, Stephen McLoughlin (Shaun McCoulsky 88), Sam Mantom, Timothee Dieng, Harry Bunn, Simon Cox (Theo Robinson 83), Tom Hopper. Peterborough United: Aaron Chapman, Jason Naismith, Colin Daniel, Alex Woodward, Ryan Tafazolli, Jamie Walker (Marcus Maddison 55), Mark O’Hara, Matt Godden, Siriki Demele (Joe Ward 78), Rhys Bennett, Jason Cummings (Ivan Toney 70).